We hope you are having a great winter season! Please stop by the SkateFest Winter Beach Party on February 17’th at the town beach. We are an community association of local businesses and organizations, volunteering our time and resources, to enhance the beauty and appeal of Center Harbor. We do this through various events and promotions, for residents and visitors alike. We would like everyone who lives, works and plays here, to experience the beauty and friendliness of our town and to enjoy everything Center Harbor has to offer. Sponsored events throughout the year include Skatefest, Lobsterfest and Small Business Saturday. 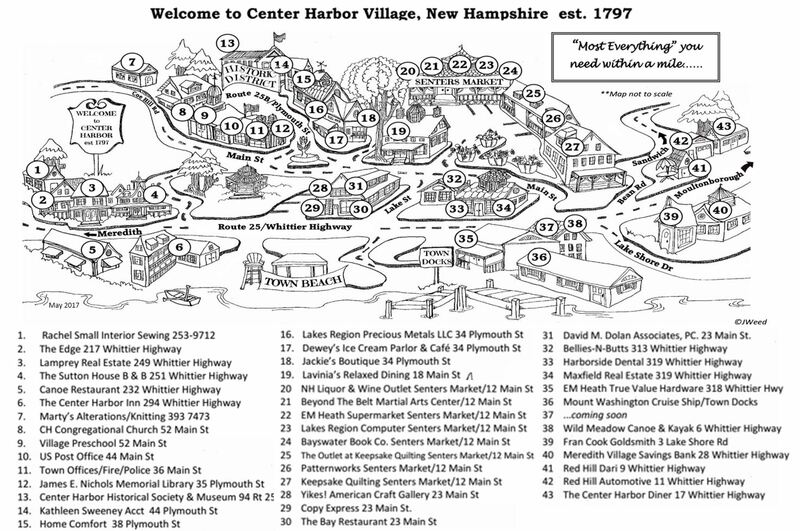 Center Harbor is located on the northern end of Lake Winnipesaukee, between Meredith and Moultonborough, NH.